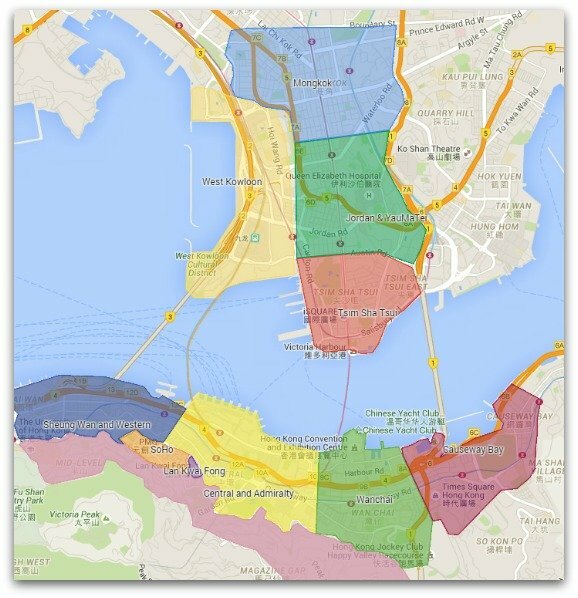 Here is a Hong Kong Neighborhoods Guide and Map where many of the top attractions of Hong Kong are concentrated. 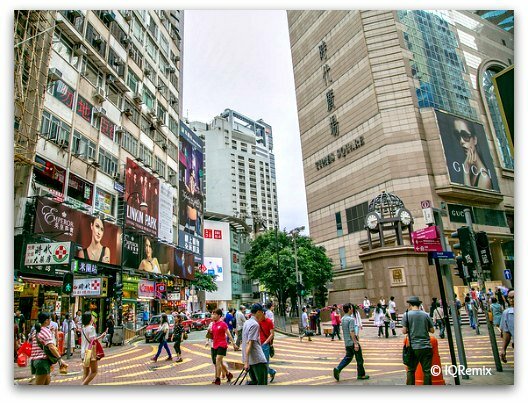 Each neighborhood has its own unique character, check them all out as they all give you a different facet of the city, from the shiny skyscrapers of Central to the bustling street markets of Mongkok. If you are looking for accomodations, this quick guide will give you an idea of what to expect at each neighborhood and the main attractions and highlights of the area. This is the heart of Hong Kong's business and administration center and where you find Hong Kong's finest examples of cutting edge architecture, a concentration of hyper-luxury hotels and shopping centers, and the most prestigious of addresses in the territory. A very compact and dense area with an ever-expanding waterfront, it defines Hong Kong's majestic skyline. Amongst that jungle of concrete and glass, you find traces of Hong Kong's colonial past, as well as traditional markets tucked in the narrow alleys. Central and Admiralty are well-served by all of Hong Kong's convenient transportation systems, MTR, Airport Express, ferries, buses, and trams to connect it to all parts of the territory. Take a few steps to the west from Central and you find yourself in the old Chinese neighborhood of Sheung Wan which although rapidly modernizing, still retains some of its old traditional charm. You find here lots of incense shops, herbalists, curios and trinket alleys, small temples, wet markets, dried seafood stalls... in between the super-modern buildings shaping the ever-changing skyline. Modern turboJet ferrys usher people back and forth to Macau and yards away the century-old rickety Ding Ding Trams traverse this bustling district full of contradictions and a true "East meets West" vibe. This neighborhood is a fascinating mix that is best explored on foot and one of our favourite walks in the city. Transportation options are plenty: MTR, buses, trams. 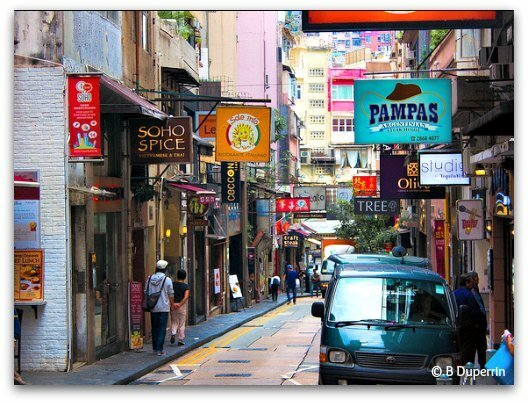 The following two areas SoHo and Lan Kwai Fong are small neighborhoods in the Central/Sheung Wan District, and these are your entertainment, dining and nighlife quarters. SoHo is bustling with hip bars, restaurants and shops in the area "South of Hollywood Road" alongside the Mid-Level Escalators. This dining and entertainment district previously an older Chinese residential/shopping area, started taking shape after the construction of the Mid-Level Escalator in the 1990's and transformed itself into a very unique micro-culture of bars, restaurants and shops which popped up along the path of the escalator to capitalize on the new traffic. An ever-growing neighborhood, the main scene is found nowadays between Staunton and Elgin Streets. Also popular in this area are the many galleries and boutiques, and the newly transformed PMQ, the old Police Quarters that have been revitalised into a hub for the design and creative industries. Getting There: Either the Central or Sheung Wan MTR, then take the Mid-Levels Escalator up to Staunton or Elgin Streets. 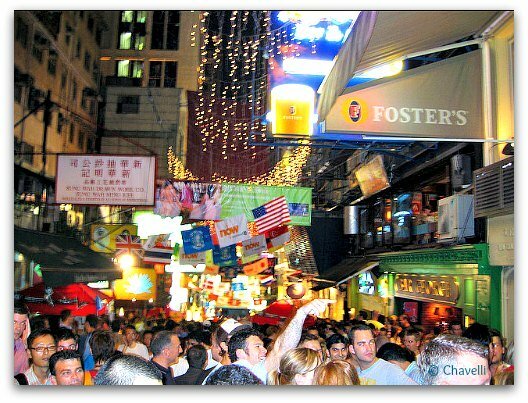 Lan Kwai Fong is home to the city's trendiest night spots, a small area consisting of over 100 restaurants, bars and nightclubs around the corner from the Central District. There is everything from casual bites to Michelin-starred and fine dining. And the clubs? Sleek and trendy, from traditional water holes, to the hottest dance clubs... This is Hong Kong's Party Central. Lan Kwai Fong is buzzing at night as the throngs of office workers stop to unwind after a day's work, enjoy a drink or two and grab a bite to eat. Very lively on Fridays and extremely packed when there is one of the many festivals celebrated throughout the year: Halloween, Carnival, New Year's, the Sevens, etc. Getting There: Lan Kwai Fong Street is an L-shaped cobbled-stone street that meets D'Aguilar Street and form a small square which defines the heart of the area. It spreads from here to the surrounding streets and lanes, which are also lined with eateries and nightclubs. Take the MTR to Central Station Exit D2, on to Theatre Lane and up D'Aguilar Street. The Mid-Levels is the area behind Central, Sheung Wan and Wanchai, on the skirts of the Peak. This is an affluent residential area commanding fantastic views of Victoria Harbour, and needless to say, some of the most expensive Real Estate in the planet. This is a "hilly" area as you are on the slopes of Victoria Peak. There is easy access to the Mid-Levels with the Escalator, taxis or buses but no MTR. What you get here is fresher air and being closer to nature as there are many county parks and of course, you are half-way to the Peak. These are the neighborhoods east of Central. Causeway Bay is a popular shopping destination for locals with an abundance of sleek malls, department stores and boutiques. Wanchai in the meanwhile, has gone through a tremendous transformation and totally cleaned up after its early-day reputation as the red light district mecca and sleazy bar scene of the 60's and 70's. The opening of the Hong Kong Convention and Exhibition Center in the waterfront brought also a host of business hotels and highrises, which offer more affordable accomodation options than the Central District. The MTR Island Line runs through Wanchai and Causeway Bay. There is also a Star Ferry pier in Wanchai that crosses to Tsim Sha Tsui and the Ding Ding Trams with a special loop that brings you to the Happy Valley Race Course nearby. 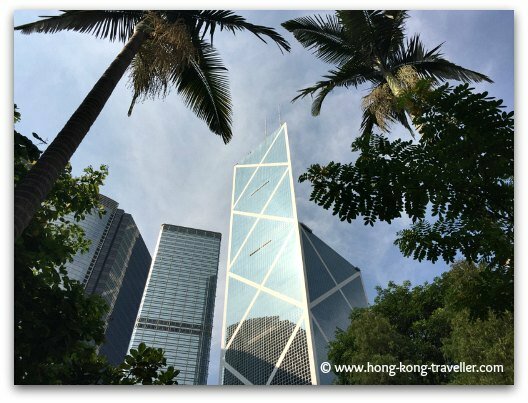 Major attractions and highlights in Wanchai / Causeway Bay: Hong Kong Convention Centre, Bauhinia Square, the horse races, shopping center galore, and Victoria Park. 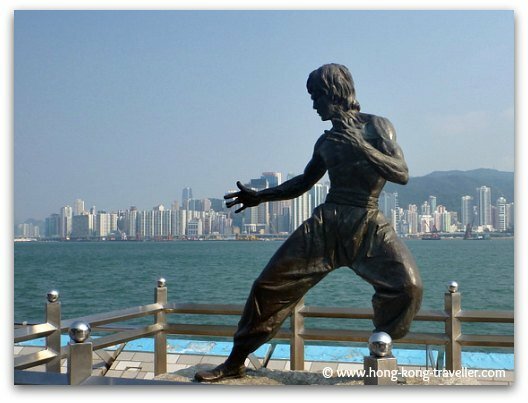 Kowloon is a host of lively neighborhoods and areas and Tsim Sha Tsui is at the very core of it. There's of course the bustling and gaudy Golden Mile with its myriad neon signs in contrast to the chic and dashing vistas of the Promenade. This is one of our favourite place to take in the nightly Symphony of Lights and one of the most stunning walks along the waterfront facing the majestic Hong Kong skyline. Electronic stores, tailors, bars and restaurants and some of Hong Kong's best museums and galleries are to be found here. One of two Hong Kong cruise ship terminals is right here, you basically get off your cruise ship and start exploring, it's that easy. 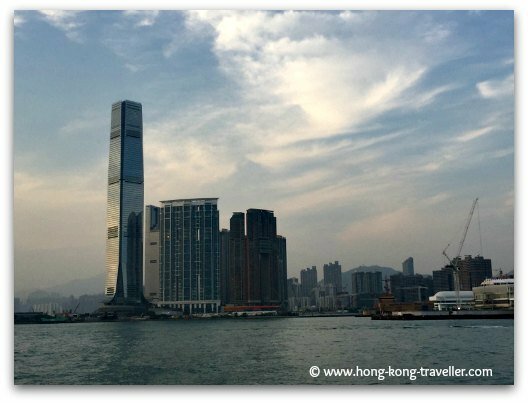 Tsim Sha Tsui is well-served by Hong Kong's convenient and efficient transportation systems, MTR, ferries, buses, will connect you to all parts of the territory. There are also the ferrys to Macau, and the Tsim Sha Tsui East MTR station connects easily with the trains to Mainland China. 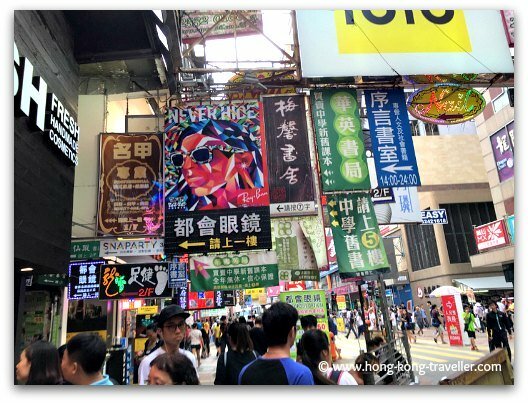 Just north of Tsim Sha Tsui, with their narrow alleys and passageways, street stalls, markets and shops, this neighborhood is unmistakably Chinese. 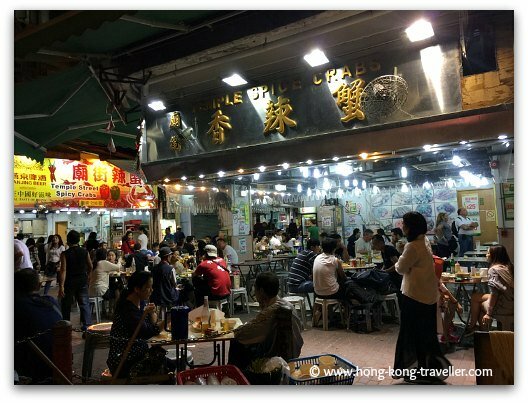 Some of the best street markets are here, and the mahjong shops, herbalists, kite shops, feng shui tellers, hot pot and dim sum stalls, oh yes, and our favourite Night Market, Temple Street Night Market. Always crowded and bustling, these districts are great to explore on foot. The red MTR line runs north/south through Jordan and Yau Ma Tei providing excellent transportation connections together with the comprehensive bus network. 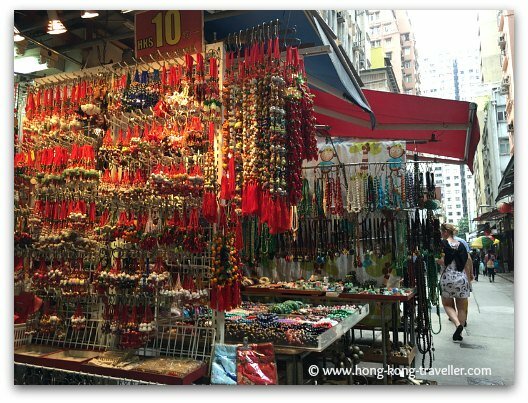 Where Jordan and Yau Ma Tei leave off, Mongkok picks up the bustling vibe, in fact it is hard to tell where one neighborhood ends and the next one starts, the areas are very much alike with busy streets, colorful markets, and very very Chinese. Mongkok is home to the Ladies Market, one of the most popular markets, as well as some very unique and local ones: the Bird Market, the Gold Fish Market and the Flower Market. This is one of our favourite walks in Hong Kong. Several MTR and rail lines serve Mongkok and connect it to the rest of Hong Kong, including the New Territories as well as Mainland China. West Kowloon is the newest area in Hong Kong and all from reclaimed land. The reclamation effort which started towards the end of the century, increased the area of the Kowloon Peninsula by 30% and was part of a series of projects in connection with the Airport Infrastructre Programme to connect Lantau Island with the Peninsula. This is where you find the Kowloon terminal for the Airport Express. West Kowloon is home to Hong Kong's highest building, the ICC tower as well as swanky shopping centers, hotels, apartments and office buildings. Construction of the West Kowloon Cultural District is underway and will include a modern art museum, theatres and other entertainment venues. The Tun Chung MTR line connects this neighborhood to Hong Kong Island as well as the Island of Lantau, but unfortunately this line is not as convenient to get you to the rest of the Kowloon neighborhoods, i.e. 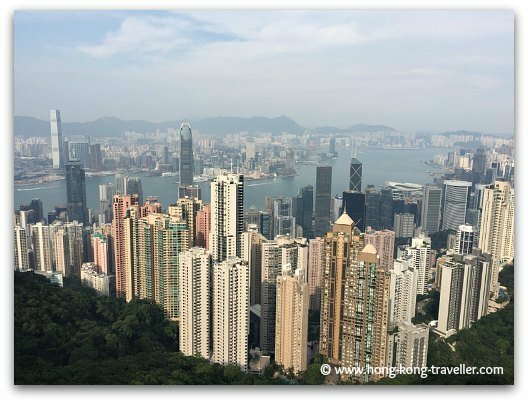 Tsim Sha Tsui, Jordan and Mongkok, taxis or buses or a 20 minute walk will get you there. Major attractions and highlights in West Kowloon: ICC and Sky100, Airport Express Kowloon Station.